Years ago, when I worked at Zefiro Restaurant in Portland, I often jotted down recipes on the back of guest checks to try at home. This one is from Michelle Dennis, one of the most talented pastry chefs I've known. Preheat oven to 350 degrees. 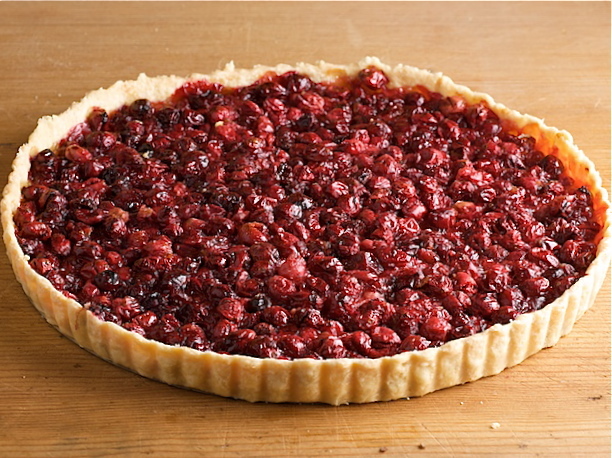 Roll out the pastry dough to ¼-inch thickness and press into tart pan. Mix together the cranberries, sugar, orange zest and juice, salt, and melted butter. Pour mixture into tart crust and bake for 45 to 55 minutes, until the filling is bubbly and the crust is golden brown.